NCCP Youth Volunteers fired up to Serve the People! 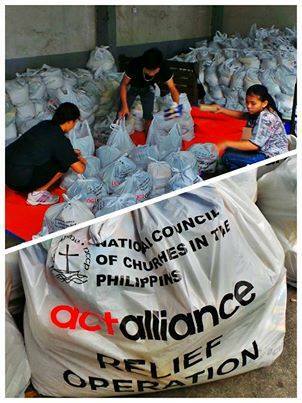 They started very early for the repacking of relief goods. You too can help, BE A VOLUNTEER! Please proceed to the NCCP compound at 879 EDSA, West Triangle, Quezon City. Look for Elmer and Krish.